DataFox helps sales and marketing teams prospect smarter and have thoughtful, personalized conversations at exactly the right time. "A Good Tool For Finding Companies (But Sometimes Inaccurate)"
I like that DataFox enables you to set a wide variety of filters when you search for companies to prospect. Just to name some of these filters to give you an idea of the level of detail, you can search by industry keywords, headcount / size of company, location, revenue, job postings, conferences they're attending, when the company was founded, and my personal favorite is that you can search for companies that are or are not currently in your company's salesforce. I dislike that the tool populates companies that are outside of your filters. For example, I work for a software company and I am an Account Manager and we sell our software to other software companies. When I want to look up software companies in a certain space, like Accounting Software for example, I set that filter. What I've found however is that a lot of the companies that are populated are involved in Accounting, but are not software. The difficulty this presents is that I have to pick through the list before I start prospecting, otherwise I will waste time/resources on companies that are not even within my search criteria. Datafox is a solid tool when it comes to assisting you in finding companies to prospect. It's a lot better than trying to piece together prospecting lists with Google. That being said, be prepared for some inaccuracy in the company searches you do. Without Datafox, we would have to use basic google searches to find different software in different spaces like event management, cyber security, accounting software, etc. Then we would need to manually enter these companies into a sheet so that we can import them into salesforce. Datafox comes in and cuts out a lot of the manual labor there. It populates large lists of companies, and though sometimes the lists are mildly inaccurate to the filters, it is still very helpful. "Very helpful for BDR/SDR roles"
It's been great to be able to create lists of companies in my territory. The list creating feature is definitely one of my favorite features of DataFox as you can find any sort of list online and have DataFox create a list of those companies for you. The HG Data Technographics feature is great too as it helps you see what types of systems/software that a company might already be using. You can also create lists based on many different filters and you can get pretty creative with these filters when creating lists which is why I have multiple lists for companies in my territory. The employee size count can be off at times. It helps me have an easy to use list of companies in my territory where it gives me information about the company, any sort of funding that the company may have had, and what software the company might be using. It also gives information such as HQ phone numbers and their location which helps as well. "A Powerful Prospecting Tool "
Put simply, I love being able to have an updated dynamic list of accounts within my sales territory organized based on campaign criteria I choose - it takes a lot of manual work out of my day. It's great being able to get as granular as I want to as well as being alerted when certain status triggers occur such as when companies within my list have new rounds of funding or go through expansion. The icing on the cake is how seamlessly it integrates with Salesforce. There could be a bit more clarity on the difference between signals vs. alerts which caused some initial confusion but our customer success rep sorted it out promptly. Their CS reps are great! You can lean on them if you have questions and they will get back to you promptly. For outbound sales, it's crucial to be able reach the right account at the right time in the most efficient way possible. Datafox has allowed me to cut down on my manual processes and come to work each day with a list of viable accounts that I did not have to build myself. If I wanted to have a campaign targeting medium sized companies, within a certain geographic area, using XYZ tech stack, I could have a list populated easily and that would be scratching the surface of how granular I could get. "Great for finding and tracking startups"
- Tracking companies using lists. It is easy to add a company to a list through the browser sidebar, share lists with the team, and download lists to go. - Very good customer service: the Datafox team quickly responds to requests for conferences, lists, new companies, and company edits. They even take those crowded "landscape" images that show all of the company logos in a particular sector and make a list for you. - I wish the Similar Companies recommendations were more precise. It would be so helpful if this feature could help more to find comparable companies. We use Datafox - alongside Pitchbook and Salesforce - to find, track, and keep in touch with startups that our VC firm would potentially invest in. The benefit of Datafox is that it is easy to use and helps make our team more productive without requiring a lot of configuration or training. It's great to be able to quickly get a list of all of the companies that we have spoken to in the Chicago area and download the list before heading out there. Or sharing a list of all of the companies that we are tracking that are at the conference a colleague is attending so she can reach out to them in advance. Or getting alerts on a startup that just hired a new Chief Product Officer to prompt us to reach out to hear what's new. It saves time. "Great tool with accurate data"
DataFox is a great tool for getting information about companies and alerts when companies you follow are in the news. It is also useful for prospecting within those companies. If the company you are prospecting isn't already in the DataFox database, you can request they be added with a simple click. Some of the profiles they serve up are bare bones and bereft of data, this is often not the fault of DataFox as the companies this applies to are often quite small or are just getting off the ground. 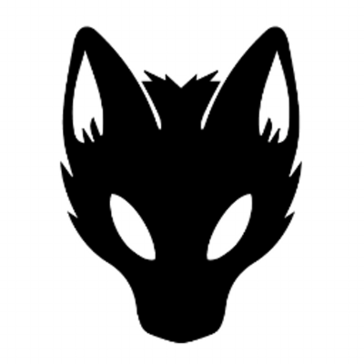 DataFox is a great tool, they have been very responsive to our requests and have come into the office to train the team and solicit feedback on how they are doing and how they can get better. DataFox provides a foundation for how we prioritize inbound leads. It helps our outbound efforts by serving up news about the companies we are following, providing a compelling reason to reach out. "Great for Account level Data - List Matching works well"
The Account level data is great. Datafox has helped me massively with the de-duplication of accounts, which was a big problem for us. We have tried other vendors in the past for this, and none have been as accurate as Datafox. I haven't tried their newer feature RE: prospecting with contact level data, so I can't speak to it. The UI on their website is not the best, sometimes I get confused between "List Building" and the "Data Insight" tabs. It would also be great to be able to export lists with a larger number of companies in it. We use Datafox from both an account cleanup, enrichment, and acquisition standpoint - it is a massive help when it comes to territory planning season. Their success team is engaging and able to understand your business needs very quickly, and recommend solutions to get the ball rolling sooner rather than later. "Excellent data, helpful tools, easy UI"
The plug-in to Salesforce is great, they provide CEO contacts which is such a time-saver, lots of the data proves to be correct (things like employee count and recent fundraising), and I love the conference prospecting capability and Slack news updates as well. I find the notifications that come up on the bottom right can be annoying, and sometimes things take longer to sync than usual, but I just x-out the notification boxes and the customer support is always super helfpul to the sync issues we have. "Good for company prospecting - bad for lead prospecting"
Datafox is easy to use and is a great tool for prospecting companies. The extension is also great for seeing info on the website that you're prospecting. They have good recommendations on comparable companies and their data seems to be really valid/up to date. Their UI isn't very intuitive. They also bait-and-switched us when we bought. We were very vocal about wanting a tool for prospecting leads (individuals, not companies) and needed a tool that would allow us to capture company stakeholder emails and phone numbers. They didn't let us trial this feature during our free trial, but assured us they have this info and even showed us the list of our company's users and contact info during the demo period. We felt that was enough info we needed to ensure they had the data (since we weren't allowed to trial that part). It was only until we became a customer and were able to access this feature that we realized that they did not have the level of user data that they lead us to believe. They even used a 3rd party tool to populate the data on our company that they showed us during the demo, but never disclosed that info to us. Do not buy this product if you are looking to get individual contact info. Quick access to company and lead info. I'm happy to hear you've enjoyed the company (account) prospecting! We have some exciting, unique updates on this front - both in our chrome extension and salesforce apps. Our focus is on accounts - helping sales & marketing teams align on best fit accounts. Thanks for noticing our company data quality - we have several teams dedicated to programmatically and manually validating company data. Glad it's paying off. On the contact info front, I’m very sorry about your experience with it, especially the trial process. It sounds like that definitely didn’t work for you. FWIW, the only reason we limit free trial access is because we have had a few bad actors in the past use the trial to download data without paying. It sounds like we didn’t do this in a way that gave you all the info you needed, which is something we definitely did not intend - I'm very sorry about this. We will work to improve as a result of your input here. You’re right about our contact info - this is a much newer feature for us (and one we do use third parties for) as opposed to how we meticulously source our own core company data. Sounds like we under-delivered there for you and I’m sorry about that. Most of our customers use us to manage their account data, rank best fit account lists, find new accounts, associate leads with accounts, and drive outreach to those best accounts using company signals, conferences, and insights. Do you have any upcoming projects or campaigns coming up where you'd like to force rank best fit accounts? Would love to see if I can help you leverage any of this further. I would definitely like to work directly with you to try to turn your experience into a win, if I can. Will follow up with you directly. the sheer amount of accounts that datafox can pull at once is incredibly helpful for building out initial target lists in sales org. sometimes with larger lists things can move very slow and lists don't load as fast as i'd like but then again downloading information for 1000+ accounts would take anyone a reasonable amount of time. This is a new tool that really takes a lot of the work out of your day if you are looking for information on multiple accounts. If you want to upload new accounts into SFDC then this is a great way to build those initial lists without clogging up your linkedin accounts. Digging up account information for net new business. Really this is a wonderful tool to have within sales organizations that rely heavily on market data to build email cadences/sequences. "DataFox...the friendliest fox you've ever met "
There customer communication is top notch. Keeping us updated on changes, updates, and expansion plans. They go above and beyond to understand what we are looking for from Datafox and work with us to find the best solutions. They understand our business and needs! Furthermore, they do a fantastic job of keeping us in the loop and promoting changes and updates that could specifically benefit us. I have yet to encounter something I dislike. The recommendations we have put forward have been taking into account by the DataFox team. Get started, take advantage of all aspects! Finding specific use cases of technology companies would have to be using to be a fit for our software. Benefits of seeking out companies that have no idea our platform exists. "Great for prospecting and maximizing conference success"
I like how Datafox has put a lot of time/innovation into giving reps visibility to the companies they're working with and their presence at upcoming conferences. Not only do they offer solid enrichment of company information but their coverage of software companies (who we sell to) is very broad. Not much to dislike honestly. I'm not sure if notification capabilities exist where service gives me updates on companies I'm tracking and reasons to reach out in relation to their attendance/sponsorship of shows, but I'm sure this capability exists. Also have not gotten a ton of value out of their SFDC integration, but it could be user error. 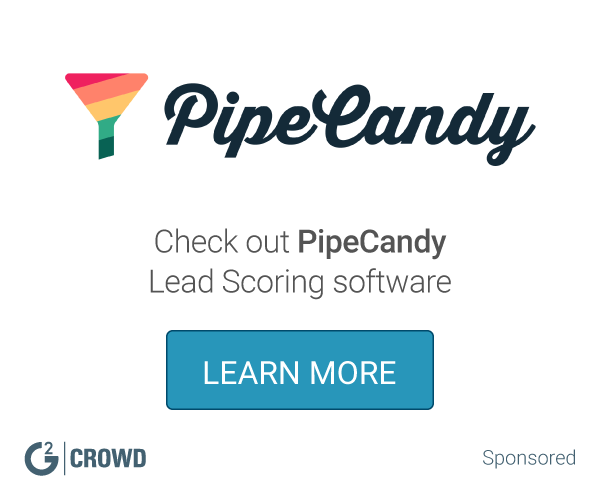 If you use conferences as a lead generation and/or sales enablement tool you should give these guys;' service a shot - makes it way more easier to be organized and targeted. My team sells to software companies and meeting them at shows, specifically our target personas, is a huge lead generator for us. Datafox is helping us target the right shows and further set up efficient plans to speak with and/or otherwise contact the attendees. DataFox syncs and integrates our SFDC data so we not only can pull DataFox data but we can use our own CRM data within the tool. Very convenient. Accurate company and contact data. Nothing from my standpoint but from my end-user perspective sometimes little tricky training my new sales reps how to use the tool since there is so much you can do with it, but since we have purchased, DF has had continuous improvements (insights tab, etc.) which is something you need and search for from companies like this. Territory, revenue, company data. Net new companies and or Contacts that will push over to our CRM with clicks. Territory analysis and much more. I use Datafox to find new companies to source from that are similar to ones we've had success with in the past (eg similar industry, location, and technologies). I also leverage the signals in Datafox to target candidates at companies growing through change or major events allowing me to engage them at the right time (which is super important in my job). Sometimes the contact info for people at the target companies is out of date. I am solving the need to manually find new companies to source from-- Datafox allows me to keep dynamic updated lists of companies as well as discover new ones without much effort. Datafox has been my lifesaver. I am In charge of researching our ideal customers and It has been such a resourceful tool for he past 3 months. It has a built In Chrome extension which makes It extremely easy to research each account. I definitely recommend Datafox to any company. Sometimes when the companies are fairly new, there is no revenue information on them. We have all of our information in one place, we build lists for our ideal customers and then upload it to Salesforce. "Great Product - Even better CS Team"
We've used the signals from Datafox to identify our Tier 1 accounts for the last two quarters, and have had conversations with highly qualified prospects as a result. Having the platform suggest target accounts based on a model of existing customers is valuable. Platform is very robust, meaning it took some time to get a full understanding of all the functionality. Keep listening to feedback and implementing it, love the pace of innovation. Identifying accounts using data, such that you can scale up account identification as your team grows, without sacrificing quality. "UI is great for complicated processes, horrendous for basic things"
The UI for complex processes is great, but it is like a blind donkey wearing mittens designed a lot of the simpler features. For some reason when looking at contact info you can not sort alphabetically by company, so I end up exporting to a CSV just to do this EVERY SINGLE TIME. Why god, WHY??? Just one example, but most of my gripes about DataFox are of this nature. We were also wrongly promised that we could use the salesforce plugin, but it didn't work with our version of Salesforce- which we had told the Sales Rep about. "A better way to predict who will buy and prospect with certainty "
The ability to pinpoint likely buyers, company scores and insights and the elegant interface. The DataFox team is amazing to work with and very open to customer feedback. They understand what it means to partner with customers. This evident in the product evolution - especially the latest release that has some impressive new features. Limited filtering on custom data sets. Don't just look at Datafox as another database, but a way to enhance your prospecting accuracy. Prospecting success is driven be how relevant/insightful you can be. DataFox quickly gives you insights and real data you can use to get the right prospect's attention. Prospecting for new clients in the commercial real estate market is very challenging given the extreme level of competition and the time sensitivity of requirements (potential deals). You can easily waste time prospecting into accounts where a deal was never going to materialize. Datafox allows me to track tenant strength in the Silicon Valley commercial real estate markets, predict potential future tenant requirements and to prospect into targeted accounts. Instead of calling on 200 accounts, I can focus on the 30 that will most likely buy. This has had a dramatic and positive impact on my sales cycle and close rate. They have really clean data. Don't use them for Numbers of Emails. Also, you can send them a URL of a site and they will scrape it for you and upload the list of companies on that page. Every SDR on my team has a license. They use this to understand the prime targets in their territory and to create notification based prospecting strategy. "high quality data enrichment with the best interface and actionable, real-time updates "
They do not have data on # of open position on a company's site which is a strong buying indicator for our company. We are happy to use multiple data enrichment vendors though. DataFox has provided a great resource for our team to find additional prospect companies to prospect into. They've opened up a wealth of data, information, and insights into those prospect companies and we've leveraged the tool as a valuable source. We've had challenges with finding accurate and great individual information on contacts within the prospect companies. I know they're working on increasing and improving their individual data and contact information, which would greatly assist the entire platform. I recommend DataFox, highly, for gathering Company data, information and insights; however, I would caution and dig further into if you're able to capture the individual contact information you're seeking. Overall, it's been a positive for our organization. Our business problem that we're solving for is gaining insights, data and information on prospective companies. The benefits we've experienced include being able to identify new prospect companies, as well as gaining valuable insights/business updates on them. "Great tool for prospecting, segmenting and understanding the addressable market"
The key feature for me compared to other tools is the lists. Particular the ability to import from URLs and then bulk upload into SFDC. "Great tool - used daily by the team"
Data Fox has been a fantastic tool for our Inside sales team. Its used daily to assess if we're hitting the right targets. Simply - our outbound efforts are maximised by using the tool. Its been a real benefit for us and the team at Data Fox have their service on point. Great people to work with with a fantastic solution. "Be more efficient with DataFox"
Nothing really. DataFox allows me to find all of the information I need in one place. Company location, size, contacts, tech stats, etc. When prospecting in my territory, I use DataFox to gather information around the company I'm prospecting to as well as gathering great contacts to reach out to. "Datafox is an essential part of my day to day job, it has helped me tremendously. " The events that Datafox pulls- It is beneficial to know what events are happening and who is attending. It helps me do my pre show for conferences. I wish there was a Datafox app that I could use on the show floor. It would help my team collaboration. Highly recommend if you are searching for contacts or events. We are able to prepare for conference events with full team collaboration and stay in our lane for certain accounts. It has benefited the Business Development team to be more productive and organized. "Data I didn't think was attainable"
Not having to spend hours pouring over data - this got me the contact info I needed very quickly. Price could always be a little lower, but otherwise it was an excellent system. It was at a threshold that made it difficult to convince the finance team. Make use of the extensive data available by trial. For me, a single successful positive hit was enough to convince me of the product worth. Like any other information source it's only a useful as what you do with that information. It would beneficial if they gave some sort of training or guidelines on best practices for using the information they provide to you. I use DataFox frequently to assist with early prospecting and lead generation efforts. DataFox pulls from multiple resources and the contact information it returns is typically reliable. I also frequently save searches and use DataFox filters to do initial searches on potential target companies. I don't have too many complaints about the tool. Sometimes I think that the user interface could be improved to make the platform a bit more intuitive. I think that the News feature could be very interesting but I rarely use it. There are a number of prospecting/sales intelligence tools out in the market now. I'd recommend giving DataFox a try - it is a strong, comprehensive offering when compared to the platform price. As someone who works in sales and is constantly prospecting into new companies/accounts, DataFox helps me to 1) find potential new customers and 2) find contacts at those companies. Because the platform helps with both aspects of prospecting, it saves me quite a bit of time in the early portion of a sales cycle. As a sales rep, I use this system all day - every day. It's a great way to reference companies and their data because LinkedIn isn't always correct. Sometimes - very rarely - the HQ information isn't correct. But all you have to do is email Datafox and they'll verify the information quickly. "Helps us quickly find the right accounts"
Datafox is definitely the best list building solution I have found. The contact database could be improved but there are still a ton of great contacts. When we balance it with LinkedIn, we have our bases covered well. Datafox has saved my sourcing and sales development teams 4-10 hours per week. We've also increased our bookings and better understand our TAM. On the AE side, we're always up to date with the most important insights to help us drive the deals forward. I love the aggregation of information on prospects. Datafox makes it simple to see all the information I need to know in one location allowing me to call more prospects and spend less time looking for relevant personal information and triggers. "Great for client segmenting and prioritization "
DataFox is great for understanding the clients in our market, and segmenting clients based on company size, location, and growth signals. DataFox helps me prioritize which accounts to focus on, and where we should be spending the most time with high-value clients. DataFox is great for account intelligence. But is not as useful for contact info. Finding and prioritizing the best clients for building business at our firm, leading to better business with more high-value clients. prospecting- lists are easy to create and filter by DataFox score. "Lead List Building with Data Fox"
The extensive collection of SMB venture backed leads. The lack of more mainstream/enterprise information. The numerical data seems to be off a bit. Great tool for SDR's to build list of accounts. Not great for enterprise teams. It is simple to build a list of accounts to go after or ID from. The UI is better than building a list off of a competitor. "Great prospecting tool for the businesses I need "
My favorite parts have to be their filtering functionality within the search when I'm looking for new companies and the ability to see similar companies. It totally streamlines the process of prospecting for me. Not every employee who I'm able to sync over to SFDC has an email or contact info, which I wasn't aware of before I had synced several over. That's not necessarily on DataFox but is the only flaw I can think of. It helps reduce the amount of time I'm aimlessly searching for companies on Google, enables me to sync over leads quickly into SFDC, has an intuitive UI, provides great background info on the companies, and allows me to view competitors. "Contains variety of data type"
DataFox can find me all kinds of data from funding information, overview and keywords of companies, general size of the companies to lead information. Meanwhile, I found the growth rate is useful. The accuracy of the data, especially revenue size could be improved. Found several cases where same funding round are counted twice. Located best companies for marketing campaign. DataFox has lots of useful information that various people on my team can use. My favorite function is the contact search. I like that fact that most of the info is correct, but if something is old or not correct, you have the ability to let them know and they'll give you credit back. Sometimes for smaller companies they do not have much info - this is primarily when I use the DF Plugin for google. But that is pretty rare. DataFox has been great for building lists about companies and for finding contacts. Its a great UI, easy to use. "Great tool for account based marketing "
DataFox allowed me to kick off a TAM expansion project and push those accounts to Salesforce so we could transition to an ABM strategy. The UI has so many bells and whistles, it can sometimes be overwhelming. That being said, my customer success manager always answers my questions as soon as they come up. "Marketing OPS + Sales Development go-to-tool"
The range of products within the Datafox platform. We can enrich accounts and contacts, research and pull new lists based on market data, and even review tradeshows before attending. Limited data in EU and Asia. This is a reality in most tools, but I was hoping Datafox could crack the code. It makes building lists quick and easy which allows SDR's and Ae's to focus their time on selling. It allows provides a vast amount of Business Intelligence which is essential at every stage of the deal lifecycle. Love if the contact numbers could be slightly more accurate to save time. Honestly nothing comes to mind here, but we've only been a client for 6 weeks. DataFox instantly enriches our leads with information around industry, tech stack and a ton of other data points. As a Salesforce Administrator, this has allowed me to set up rules to auto assign leads to the right reps. I've heard from my reps that the UI takes some time getting used to, but in terms of the data foundation for Salesforce, there's nothing to dislike. Before, our inbound reps would have to spend hours finding the information that DataFox sends to us instantly. It's saving us a ton of time. "Datafox is the easiest to use"
"As a Sales Development Rep, prospecting would be much more difficult without Datafox"
The ability to see what companies have recently raised funding. How some of the company locations can be inaccurate. Datafox has provided the ability to filter through all companies and sort based on good identifying reasons to reach out such as funding date, company size, tech stack, industry and recent news. Creating custom lists based on my territory. I'm finding companies to outbound to faster. Using lists I've created based on territory to filter companies by industry, employee count, funding, etc. I used to scroll through our massive database of companies in Salesforce and it would take me hours. Now, it takes me 30 minutes-1 hour to find 3-4 good companies and contacts to reach out to. "DataFox helps me focus on high priority accounts"
"Decent, but there are other better tools"
The search function (to find companies with certain attributes) is very intuitive and easy to use. It made the the search process itself easy. The company descriptions provided were extremely high level and often did not describe what the company actually offered. In addition, the search capability itself did not seem very "intelligent". My job requires finding a lot of startups to sift through. Having this type of service made the search easier by just getting a spreadsheet of startup names. I'd like to note that I am no longer using Datafox due to the earlier reasons provided above. "Great tool but can be hard for huge volume outbounding"
I like the clean UI, depth of companies, and filters for finding specific industries for companies. I dont like the fact that my colleague might be downloading the same list. finding new companies and making a targeted list to message very specifically to people. * We monitor all DataFox reviews to prevent fraudulent reviews and keep review quality high. We do not post reviews by company employees or direct competitors. Validated reviews require the user to submit a screenshot of the product containing their user ID, in order to verify a user is an actual user of the product. Hi there! Are you looking to implement a solution like DataFox?